Enjoy a whole range of activities as you explore the surrounding countryside and wilderness, remote beaches, rivers, wine country and the hinterland. There are beaches to suit everyone, from quiet, exclusive coves to huge unspoilt stretches of golden sands, you will discover a wilderness to relax and play. 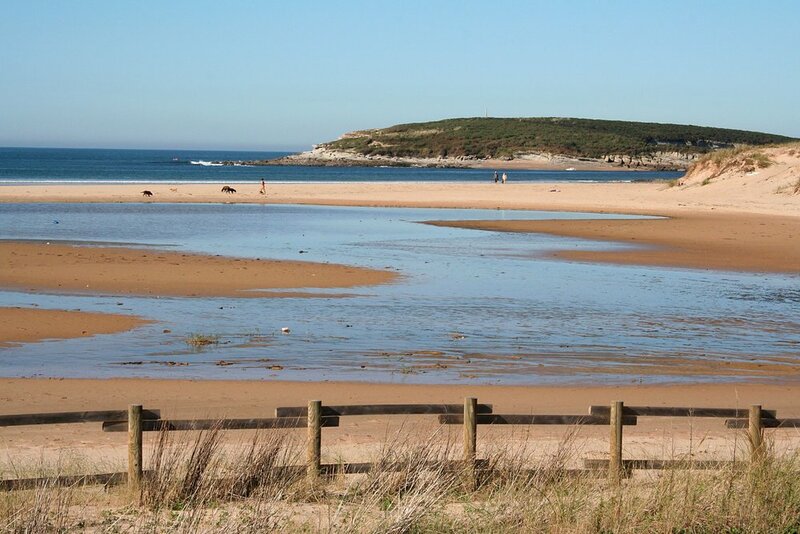 Somo Beach stretches 5-kilometres and at the far end is the Puntal de Somo with its beautiful sand dunes and two incredible "chiringuitos" serving delicious foods, tapas and wines. 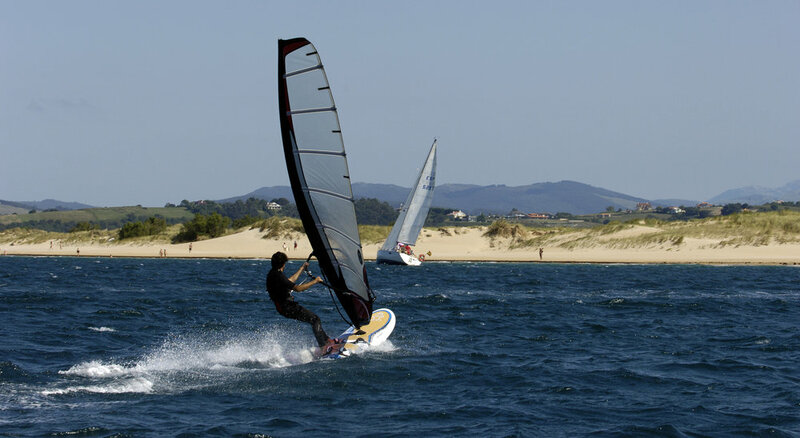 The famous beaches of Santander are Sardinero and Mataleñas. Galizano, Langre, Loredo, Somo, Ajo. Golf carts and bicycles are available to explore the surrounding vicinity of Private Parts where you can also enjoy beautiful walks and strolls around gently undulating countryside. You can even explore the beautiful wilderness on horseback. Included in the activities is a paddle tennis court that will provide hours of entertainment. Santander sports one of the finest golf courses in Spain; Pedreña, Seve Ballesteros' local club. And for those seeking an adrenalin rush, there’s zip wire, trekking, kite surfing, horse riding, rambling, skiing and hunting to be had. ALLCE, a sleek 6.5 metre speedboat is available for excursions around the exquisite bay of Santander, to explore remote beaches, the dramatic coastline and cruise up the river. Local culture and traditions can be enjoyed during the months of July and August. 20-minutes’ drive from Private Parts is Santander, the region’s beautiful capital where you will discover beautiful architecture, culture and fabulous food. The Palacio de la Magdalena, a former royal summer residence lies at the mouth of the Bay of Santander on the rocky La Magdalena Peninsula. The city’s grandiose centre is home to the ‘Catedral de Santander’ with its marvelous octagonal cupola and Gothic cloister. Nearby, the elegant Paseo de Pereda promenade runs along one side of the Jardines de Pereda gardens. Isla, Ajo, Santoña, Potes, Lierganes, Reinosa, Alto Campó for skiing, Castro Urdiales are all well worth a visit. Famously rich mineral waters flow in abundance from the Cantabrian highlands whose waters are both beautifying and immensely beneficial to one’s health. Cantabria boasts seven spa towns where the nourishing waters are utilised to create pools and treatments. Since 1828, the waters have been bottled locally at source and used as a tonic to boost the nervous system and is also used as a sedative! Located in a beautiful 19th century building in the Toranzo Valley, on the banks of the River Pas, is the Balneario Alceda. Surrounded by spectacular scenery in an area renowned for its prehistoric caves, the spa has access to the most plentiful springs of sulphurous water in Spain. The waters are recommended for dermatological, respiratory and relaxation treatments, as well as cosmetic, rheumatological and allergy treatments given under medical supervision. Treatments on offer include thermal and hydrotherapy baths, a natural shower, atomisation, nasal inhalations, a jacuzzi, and a sauna. Some treatments use paraffin and sea mud. Relaxing and therapeutic massages and lymphatic drainage are also available. A stroll around the spa's vast park completes a wonderfully relaxing experience. Near the town of Reinosa, and close to the province of Burgos, Corconte Spa is great for those looking for some active tourism during their spa break, such as horse riding, trekking, boat trips and skiing. Housed inside a Renaissance-style highland mansion, the spa waters are chlorinated-sodium-sulphated and recommended for a variety of complaints including rheumatism, arthritis, muscle spasms, skin problems, and nervous conditions such as stress and anxiety. The spa offers many cosmetic treatments for face and body, as well as toning and slimming treatments. Drinking the waters here is said to be beneficial to those with kidney problems, urinary tract infections and digestive disorders. Housed inside an historic building just 15 minutes from Santander, the Liérganes Spa was built at the turn of the century and its clientele has included royalty. Surrounded by a park of 100 year-old trees, the spa has 2 springs whose waters have proven thermal benefits. The waters are used in treatments for rheumatism, skin and respiratory problems, and stress. There are also therapies for allergies, asthma, psoriasis, acne and anti-stress and anti-smoking treatments. The spa offers around 30 thermal techniques including various thermal baths; a circular Scottish shower; and sea mud, seaweed and paraffin mud body wraps. A variety of massages are also available such as refloxology, lymphatic drainage, anti-cellulite, foaming and underwater massages. In the Pas river basin, near Santander, this spa lies at the heart of an area famous for prehistoric caves. The beautiful landscape and prehistoric heritage create a splendidly relaxing environment. The waters here are classified as chlorinated, sodiumate, bicarbonated and calcic and are recommended for treating ailments of the circulatory, respiratory and locomotive systems. The spa treats many cardiovascular complaints including high blood pressure and heart conditions as well as neurotic problems such as hyperemotivity and insomnia. A multitude of thermal treatments are available including bubble, seaweed, Dead Sea salt and hydrotherapy baths, pressure jets, a thermal sauna and atomisation. The Solares spa has some wonderful Romanesque influenced architecture, like the original Romanesque building in which some of the old areas have been reconstructed. The waters at Solares are bicarbonated, chlorinated, calcic and sodiumated and are recommended for digestive, metabolic, diuretic and nervous system treatments. Thermal bath techniques, hydrotherapy, mud and other beauty treatments, pressotherapy, and massages are all available here. The Spa’s at El Sardinero offer innovative seaweed treatments and sea mud while other services include pressure showers, jet showers, Vichy showers and tri-functional baths. A 50 minute drive from Private Parts, The Guggenheim Museum Bilbao is a museum of modern and contemporary art, designed by Canadian-American architect Frank Gehry and located in Bilbao Basque Country , Spain. The museum is one of several museums belonging to the Solomon R. Guggenheim Foundation and features permanent and visiting exhibits of works by Spanish and international artists. It is one of the largest museums in Spain. One of the most admired works of, contemporary architecture, the building has been hailed as a "signal moment in the architectural culture", because it represents one of those rare moments when critics, academics, and the general public were all completely united about something. The museum was the building most frequently named as one of the most important works completed since 1980 in the 2010 World Architecture Survey. Located in Santander Bay, the Cantabrian Maritime Museum is an attractive, modern building that was created as a tribute to this northern Spanish region and its sea. It aims to show the relationship between man and the maritime world throughout history and is a must-see for those who are attracted by the sea and those travelling with children. In its more than 3,000 sq. metres of exhibition it presents marine life and the relationship between the man and the sea throughout history. It has four sections: ‘Life in the sea’ (Nature – Marine Biology), ‘Fishermen and fisheries’ (Fishing Ethnography), ‘The Cantabrian Sea and the sea throughout history’ (Maritime History) and ‘Avant-garde technology in front of the sea’ (Maritime Technology). This museum is divided into four main sections: Life at sea, dedicated to marine biology; Fishermen and fisheries, centering on fishing ethnography; The Cantabrian region and the sea in history; The technological avant-garde. This museum has an important collection of archaeological remains coming from Cantabrian sites, which contributed decisively to the study of the Upper Paleolithic portable art, such as Altamira and Puente Viesgo. The first steps were taken in 1925 thanks to the donation of the private collection of the Marquis of Comillas. Located in the basement of El Este Market, the Museum of Prehistory and Archaeology of Cantabria shows valuable objects, as a ceremonial staff found in El Pendo Cave with refined engravings, replicas of rock paintings, utensils from the Roman era and giant Cantabrian steles. On the land of big cavities with rock art, the Museum of Prehistory and Archaeology of Cantabria accumulates material remains of well-known sites – La Garma, El Castillo, Altamira. The collections of stone and Paleolithic portable art utensils, carved in bones and horns, turn it into a reference museum among the European museums. Furthermore, this Museum shows the evolution of material culture from the Paleolithic to the Middle Ages, accompanied by a visual tour of the evolution of ways of life. Multimedia, interactive, scenographic and infographic resources immerse the visitor in the historic evolution. Distributed over three floors, the MAS (Museum of Modern and Contemporary Art of Santander and Cantabria) is a building in neo-Herrerian style which houses a valuable collection of works of art, among which the Flemish, Italian and Spanish paintings from the 16th, 17th and 18th centuries and, especially, a portrait of King Ferdinand VII by Goya stand out. This art centre also has as well as a good collection of contemporary art with works by Fortuny, Rosales, Iturrino, Solana and Pancho Cossío, among other artists. The permanent collection, comprising about 250 works, is shown on the upper floors. The rest of the space is devoted to temporary exhibitions. Among the contemporary artists represented in the MAS we find Alfredo Jaar, Celso Lagar, Bernard Plossu, Javier Arce, Jaume Plesa, Eulàlia Valldosera or Eduardo Gruber, among many others. Overlooking a large park with native species, is the manor house of the seventeenth century, which houses the public collection of the most important ethnographic materials of Cantabria: including popular furniture, kitchen utensils, tools of traditional trades and pieces in great ethnographic value, and representatives of the material culture of the region. The Ethnographic Museum of Cantabria: shows visitors how man has built his knowledge of the world through the objects they have used: their arts, crafts and traditions in this region. The museum collection is distributed into eleven thematically exhibition spaces, with the purpose of articulating a discourse: The museum emphasizes the identity of what constituted, throughout history, the characteristic of the equipment "Cantabria rural society" employed from the nineteenth century to the present. The Cantabria Nature Museum is housed in an 18th-century palace house in the Cantabrian village of Carrejo, located 1.5 kilometers from Cabezón de la Sal. The building has two heights (although there are three museums) and gable roof. A time later to the palace was added a chapel in the western end, finished off by a baroque belfry. It is currently used as a conference and audiovisual room and sometimes hosts temporary exhibitions. It also has a garden in which there are planted trees typical of the Autonomous Community. The house was of the Ygareda and Barreda-Cos family, whose descendants created the Ygareda Foundation to change the old family residence into a cultural center. The agreement with the Government of Cantabria resulted in the transfer of the large house that was reformed in 1989 and over it, the Museum was created in 1990 and has been restored in 2003 with the collaboration of Caja de Obra Social Cantabria. This building had been declared Bien of cultural interest in 1984. It has four exhibition halls of fauna and flora of the Cantabrian region as well as a section of themed temporary exhibitions. The majority consists of naturalised (dissected) animals. Some pieces were made by José María Benedito, member of the Museum of Natural Sciences of Madrid and by J. Patón. The oldest ones date back to 1913. The Camino de Santiago also known by the English names Way of St. James, Route of Santiago de Compostela, and Road to Santiago is the name of any of the pilgrimage routes to the shrine of the apostle St. James the Greatin the Cathedral of Santiago de Compostela in Galicia in northwestern Spain, where tradition has it that the remains of the saint are buried. Many follow its routes as a form of spiritual path or retreat for their spiritual growth. It is also popular with hiking and cycling enthusiasts as well as organised tours. It's not just difficult to find words to describe the landscape in the Picos de Europa National Park, it's almost impossible! Everything in this setting in northern Spain is spectacular: the rocky crests, the gorges, the valleys, the vast glacial lakes, the leafy forests… and the best way to get to know them is on foot. You can rest assured that you'll be absolutely amazed at everything you see. The protected surroundings of the Picos de Europa mountains lie across three provinces in northern Spain: Cantabria, Asturias and León. This was the first National Park to be declared in Spain and there is no doubt that its natural richness and outstanding scenery make it a truly unique place. Hiking is the ideal way to explore all its attractions, as there is a network of clearly signposted routes throughout the park which will enable you to discover all its most emblematic sites. When you gaze upon the lakes of Covadonga, the views of the Naranjo de Bulnes or the spectacular Cares gorge, you're bound to feel glad that you set out on your walk. course, hiking boots are absolutely essential. Europa From Oviedo and Santander there are regular bus routes to the towns and villages near the Picos de Europa such as Infiesto, Arriondas, Cangas de Onís, Onís, Cabrales, Panes, Ribadesella, Llanes and Colombres. You can also take the narrow-gauge railway (FEVE) which links both cities, with stops in Infiesto, Arriondas, Ribadesella, Posada de Llanes and Llanes. There are buses from all these towns towards the interior of the National Park.